A customized e-mail list will be generated giving you the ability to track your customers as they make orders. Sending one e-mail at a time is time consuming, may cause your system to slow down, and delay the delivery. We provide a solution that will optimize your time and e-mail capabilities. ISP's may not be able to manage an e-mail that contains hundreds of recipients and many limit this to a few dozen. Increasing your work load. Returned emails or undeliverable messages are automatically removed from the email list. This will keep your list clean and efficient. Delivery of your broadcasted email happens very quickly using multiple processes (threads) to transfer emails to their destination simultaneously. Recipients can remove themselves from the list, or opt out, by following simple instructions. This is a requirement to help avoid being blacklisted as a spammer. Customers or associates can be added easily to the email list either via simple web interface or by email. Members of the list can easily communicate with each other without having to key in or remember numerous e-mail addresses if this option is made available by the business owner. 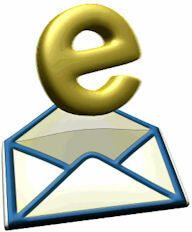 Email messages can be HTML encoded to create very attractive newsletters and special offers. We can provide you with a custom domain name for your e-mail address. Your company will stand out from the yahoo’s, g-mail’s, and aol’s. Emails are stored on a server for easy access in the event of IT failure at your Company. Spam filtering will prevent the spam from ever reaching your lines which can again slow down your computers productivity.